I got my stolen bike back. Funny I kinda had a feeling it would come back. The guys at Allegro called me and said some nice older lady brought it in for a tune up. Apparently her granddaughter “bought” it at a garage sale. 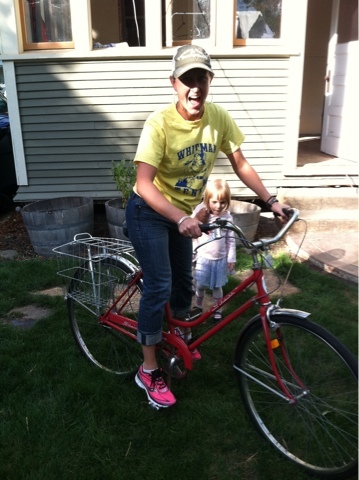 The Allegro guys told her it may be my bike and so I called her up and she insisted I have her back! She wouldn’t take any money so I gave her and the bike guys some gift certificates for some awesome sandwiches at this great little spot in Walla Walla.